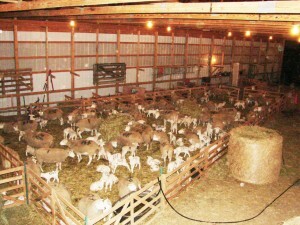 In past decades it was common wisdom to lamb in the barn during the winter months in January and February. It was heavily promoted as the right thing to do. The wisdom was that farmers had time to give their flock the attention they needed during winter months, before the busy spring planting season arrived. However, in areas that experience winter with temperatures below freezing and snow, one needs to have a barn, winter feed, and the equipment to feed the sheep. It is labor intensive and costs money. In the last decade or so there has been a strong shift towards spring lambing on pasture. 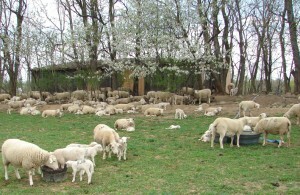 Lambing on pasture is assumed to be both less expensive and less labor intensive. Furthermore, a hands-off approach is now being promoted, where sheep lambing on pasture is unassisted and unsupervised. Of course, that is an extreme that I don’t recommend and for discussion sake this extreme will not be part of this article. 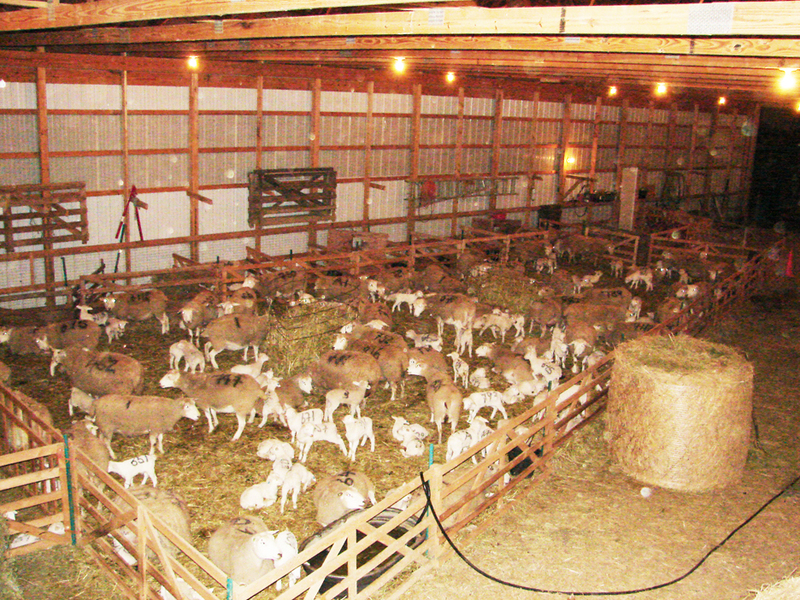 Winter lambing requires a well-planned system since barn space is often limited. I seem to have ignored the common wisdom, twice! 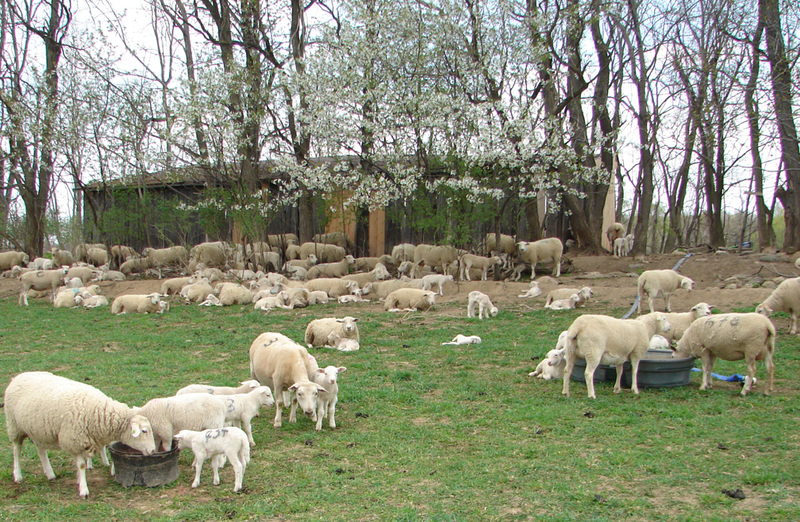 When I farmed in New Jersey, I used to lamb on pasture in the spring when everyone had already lambed in the barn. For the past five years I have been in upstate New York and started to do more and more lambing during the winter months in the barn. Who is right and who is wrong? Truth be told, it all depends on your farming operation, specifically your market. There is no right or wrong answer that applies to everyone. There are various markets for lambs, differing greatly when it comes to lamb size, required availability, means of raising them, geographic region of the country, and other factors. Thus, there can be no one-size-fits-all marketing approach – which will determine when to lamb. Let me go through two examples at my own farm to illustrate how to determine your lambing cycle. When I farmed in New Jersey, my primary outlet was a local livestock auction in Hackettstown about one and a half hour driving distance from New York City. At this auction, there were numerous bidders from “the city” (referring to New York City) that ran butcher shops or supplied ethnic groups. The prices at the auction varied greatly. Summer prices were the lowest, winter prices and early spring prices the highest. While there was always a huge demand for lambs at Easter and Greek Easter, the supply was also very high. The price spiked for a very, very brief period. Then it declined steeply and rapidly. On the other hand, the Christmas market and winter market for heavier lambs was equally strong but supply lacked behind demand, which led to reliably high prices from December through February for heavy lambs. Considering these conditions, I lambed in my later years in New Jersey during the month of April when the weather was favorable enough to lamb on pasture with very little requirement and cost for barn and equipment. I extended my grazing season by renting harvested hayfields during the months of November through March and was able to finish lambs at low cost during a time of year when others sold out because they ran out of pasture. This allowed me to fetch premium prices in early winter and especially around Christmas when supply was low and demand was high. Spring lambing is far less labor intensive. Now I am in my sixth year in upstate New York and face a completely different scenario. My customer base is very diverse. Two large customers are distributors supplying high end restaurants and stores with my grass-fed lamb, which need a steady supply for as long as they can, with very high demand during the vacation months of July and August and well into September. Demand slacks off as Thanksgiving draws near. This customer base almost dictated that I had to change my lambing cycle. I now have a lambing season in January, a second lambing season in March and a third lambing season in late April and early May during which my replacement ewes lamb. This staggered lambing season allows me to provide finished lambs from June through November. The more I can spread it out, the more lambs each individual distributor will buy. In fact, the buyers prefer a year-round supply but grass-fed lamb is a seasonable business in my view. Since these lambs are raised entirely on pasture they fetch a premium price, my competition is limited, and sales are as certain as anything in a free market system can be. Therefore, it was a necessary step to change from spring to winter lambing. Since at my new site, I have a barn and adjacent pasture instead of limited and rented barn space, as I did in New Jersey, this change came with little additional cost. What about the additional labor? It is a fact that spring pasture lambing is by far much less labor intensive than winter lambing. On the other hand, there is much more additional work to do in the spring than there is in the winter. That means I have time to spare in the winter while I usually don’t seem to have enough time any other season of the year. So, I spend my time in the winter lambing sheep and building bird houses. What about the additional cost? In my case the additional cost was feeding second-cutting hay to the ewes that lamb in the winter instead of the cheaper first-cutting hay that they received in previous years when these ewes lambed in the spring. There are a few more items like electricity cost for light and water heaters but there was no major additional expense that was cost-prohibitive. The additional cost of fancier hay for the winter months amounts to up to $5 more per lamb which is less than four percent of the sales price. If I were to buy a tractor or build another barn or were to buy any other big piece of equipment in order to make it happen, my calculation would be different. There are many other possible scenarios to market your lambs. There are many who sell feeder lambs or small sized lambs to ethnic groups. In those cases, spring lambing on pasture makes the most sense. Others sell hot house lambs at Easter. Naturally, these farmers must lamb in the winter. In summary, there is no universal truth as to when lambing makes the most sense. It all depends on the individual farm and its particular market. Perhaps next time you read an article about the benefits of lambing during a certain period of the year versus another, ask yourself if it makes sense for your particular farm with your particular market. Copyright 2011 Ulf Kintzel. For permission to use either text or photographs please contact the author at ulf@whitecloversheepfarm.com.